For all theme park junkies, Universal Studios Japan in Osaka is a bucket list must-have. 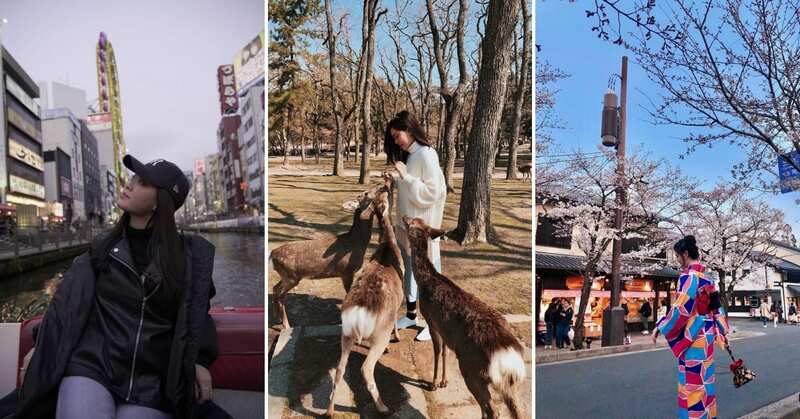 One of the only two Universal Studios parks in Asia, Universal Studios Japan is every thrill-seeker and movie fan’s place to be – with different adventure zones to explore, and new seasonal attractions like Universal Cool Japan 2019 always popping up. 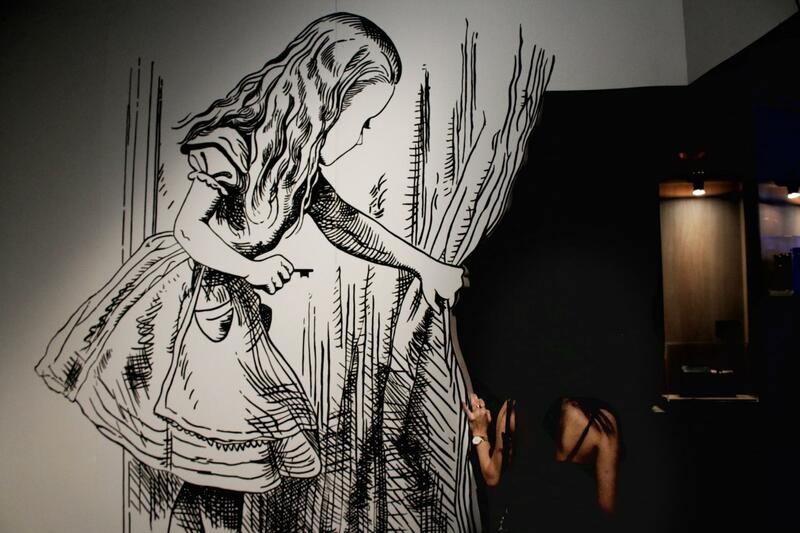 Before you head down, read up on our insider tips and tricks to fully maximise your USJ experience! All that running around is bound to make you hungry. 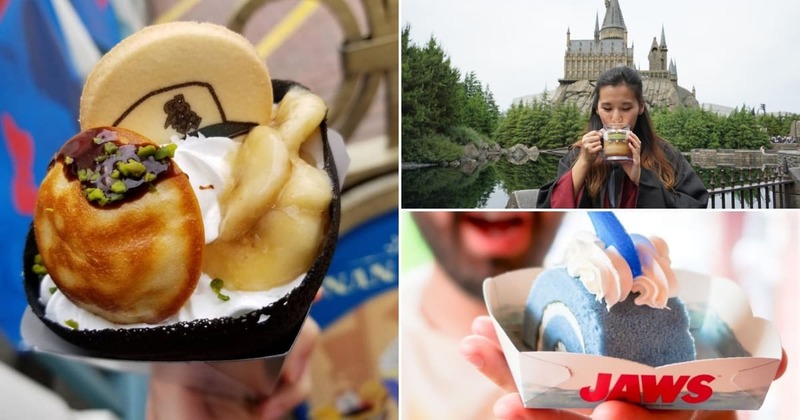 Here’s our pick of 13 USJ dishes and snacks to keep you fuelled on your theme park adventure! Sorted by zones, you’ll never go hungry in USJ with this guide. 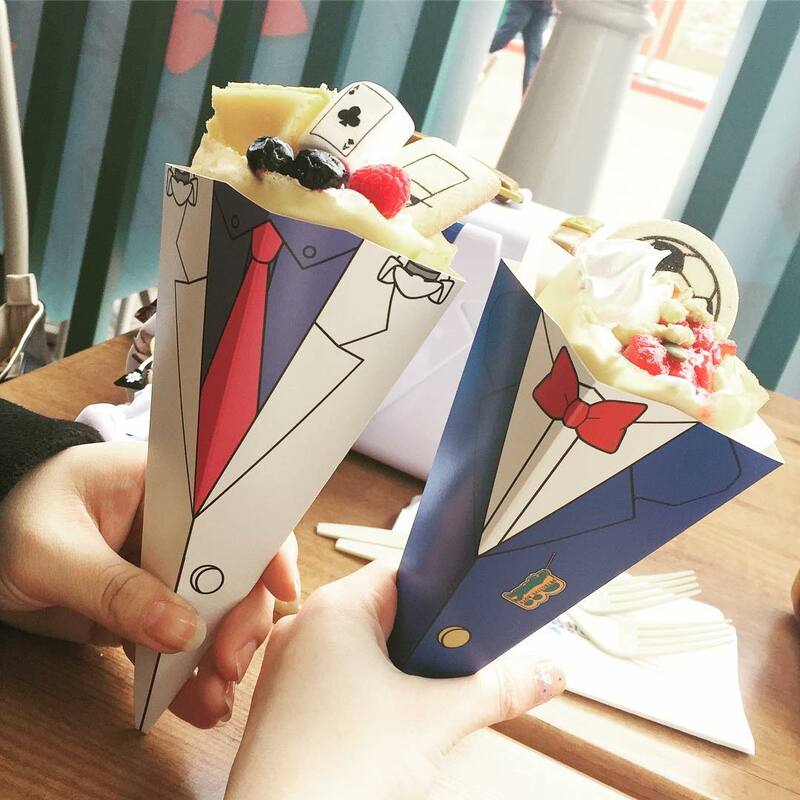 For some Harajuku-style street food crepes, head to the Detective Conan: Mystery Restaurant. Detective Conan is one of this year’s Universal Cool Japan themes, and one of the features is a limited edition series of Detective Conan Crepes! 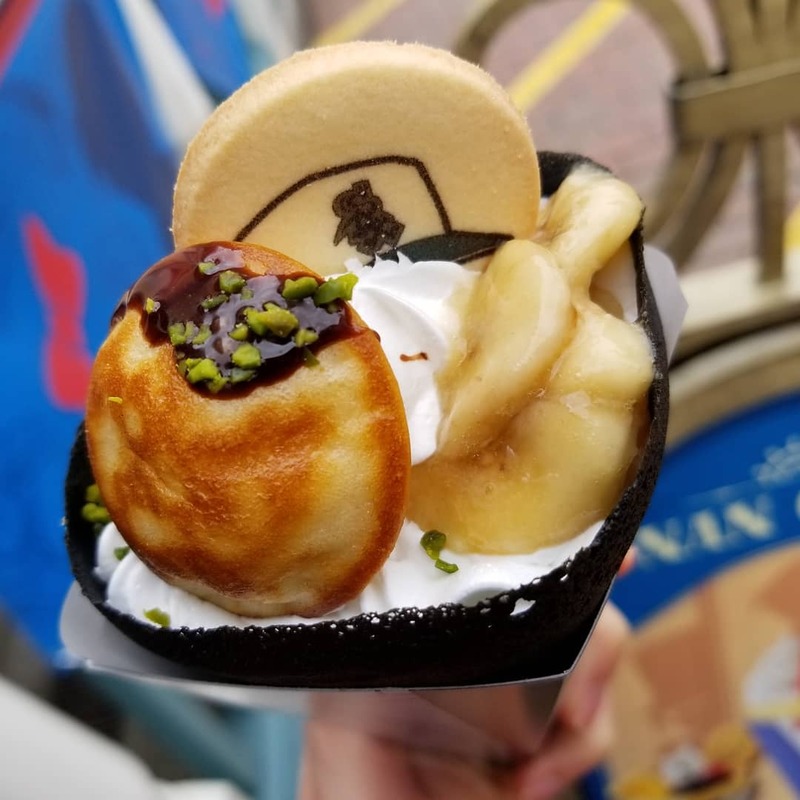 There are three flavors to choose from, with each representing a different character from the popular anime – the strawberry Conan Crepe, the blueberry cheesecake Kaito Kid Crepe, and the chocolate banana Heiji Crepe. Check out what’s in store at this year’s Universal Cool Japan! 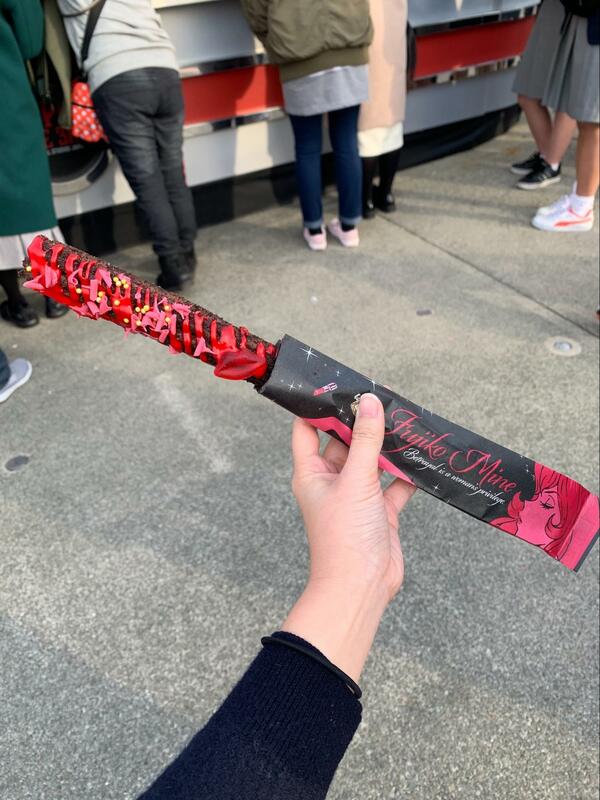 Another Universal Cool special – this time for Lupin the Third – the Fujiko Churritos can be found outside the new Lupin the Third Car Chase XR Ride at the park. This limited edition chocolate and rose snack comes drizzled with deep red frosting, topped with raspberry gummies. Pineapple on pizza is contentious as it is – but corn? Almost non-existent in North America and several other parts of the pizza-loving world, sweet corn as a pizza topping in pretty popular in Japan. 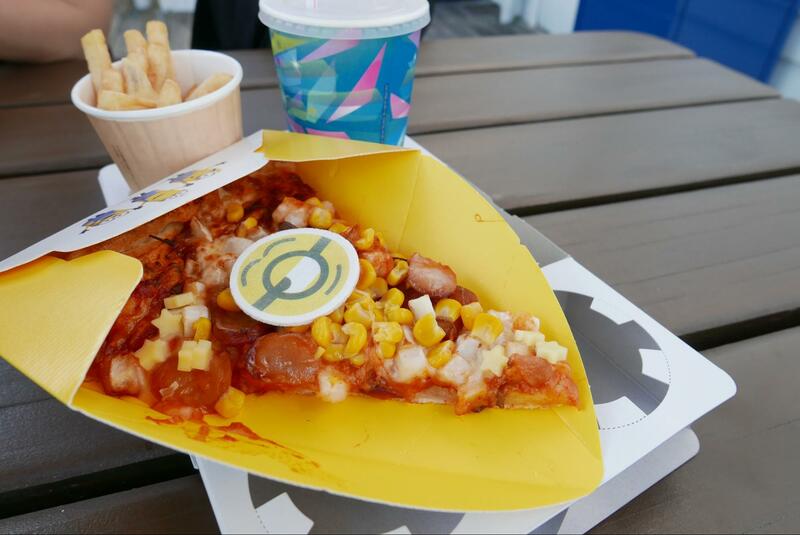 To try this combination at USJ, head to Minion Plaza for the Minion Pizza. This corn and sausage medley makes for the perfect in-between rides snack, with the crunchy sweet corn kernels adding a great pop of texture and flavor. Add on fries and a soft drink for a full meal. Corn on pizza? We say yes. You can also find a Minion Choco Banana & Marshmallow pizza if you’re craving something sweet instead! 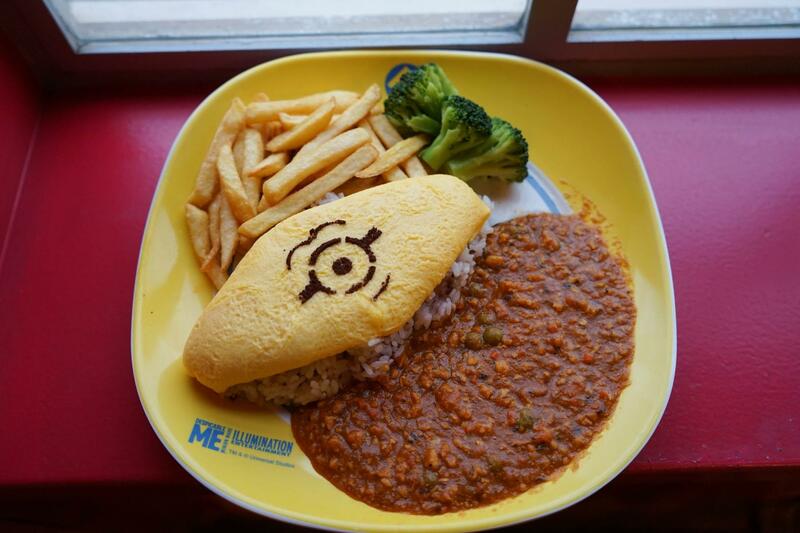 For a sit-down option at Minion Park, head to the Happiness Cafe for their Minion Omurice Set. The creamy-centred Japanese-style omelette is served on top of rice, with minced beef curry, fries, a side of salad and a drink – making for a balanced meal to fuel the rest of your park adventures. Protip: Set Meals at Happiness Cafe come with free-flow drinks from the drinks bar! 5. Fluffy Churritos @ Delicious Me! USJ is always churning out new seasonal Churritos flavors. 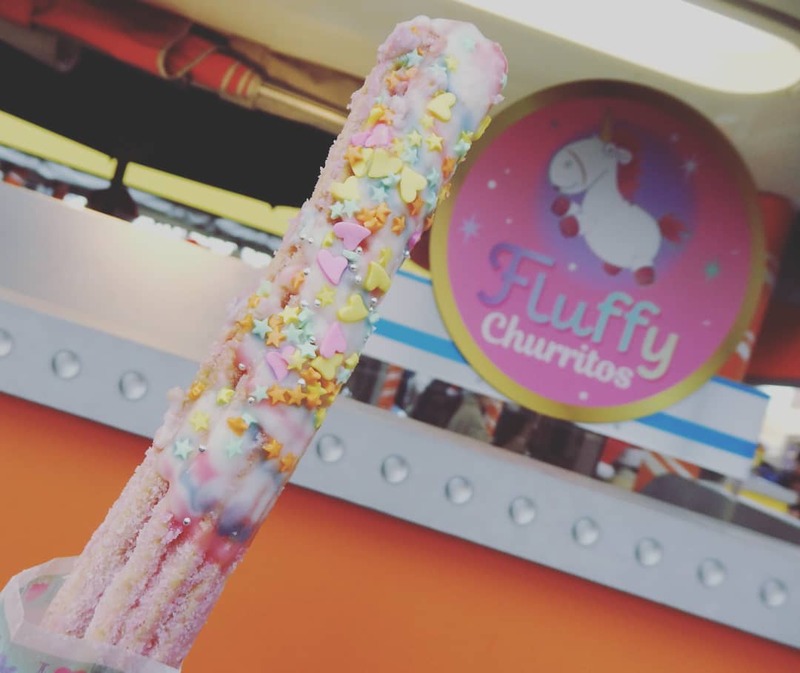 For more rainbow unicorn madness, the Fluffy Churritos at Delicious Me! will do the trick – a strawberry churro base generously dusted with pink sugar, dipped in rainbow-swirled frosting and even more sprinkles. 6. Minions Ice Cream Sandwich @ Delicious Me! With warmer spring days approaching – it’ll be summer before we know it – ice cream sandwiches are getting more justifiable by the day. 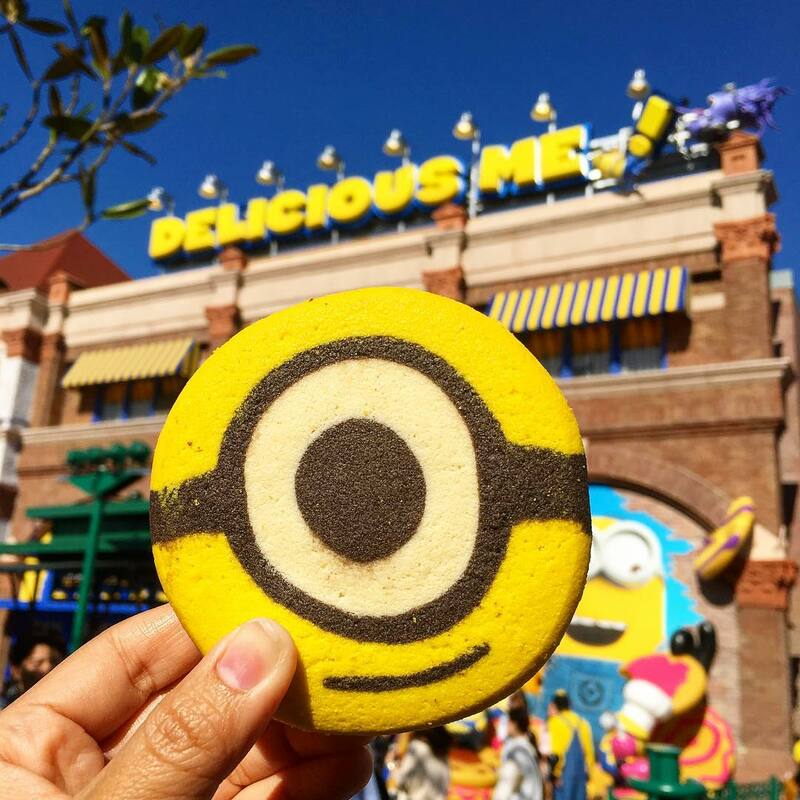 Delicious Me!’s Minion Cookie Sandwiches are almost too cute to devour. These shortbread-based sandwiches are available in a range of different flavors, which rotate seasonally. Some of our favorites are Fruits & Cream, Banana Milk & Fruit, Matcha and Tiramisu. 7. Fluffy Hot Chocolate @ Delicious Me! 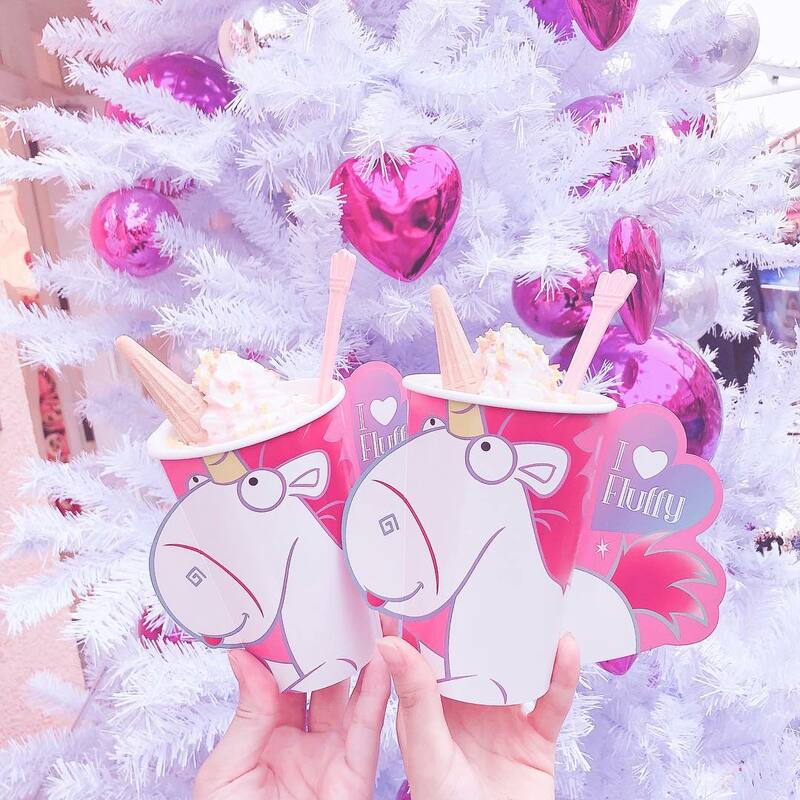 If you’re a fan of cute fluffy unicorns, the Fluffy Hot Chocolate at Delicious Me! is just the thing for you. Topped with pink-tinted whipped cream, rainbow sprinkles and a mini pink waffle horn, this sweet drink is bound to make anyone smile. Major plus: the adorable Fluffy Unicorn cups. 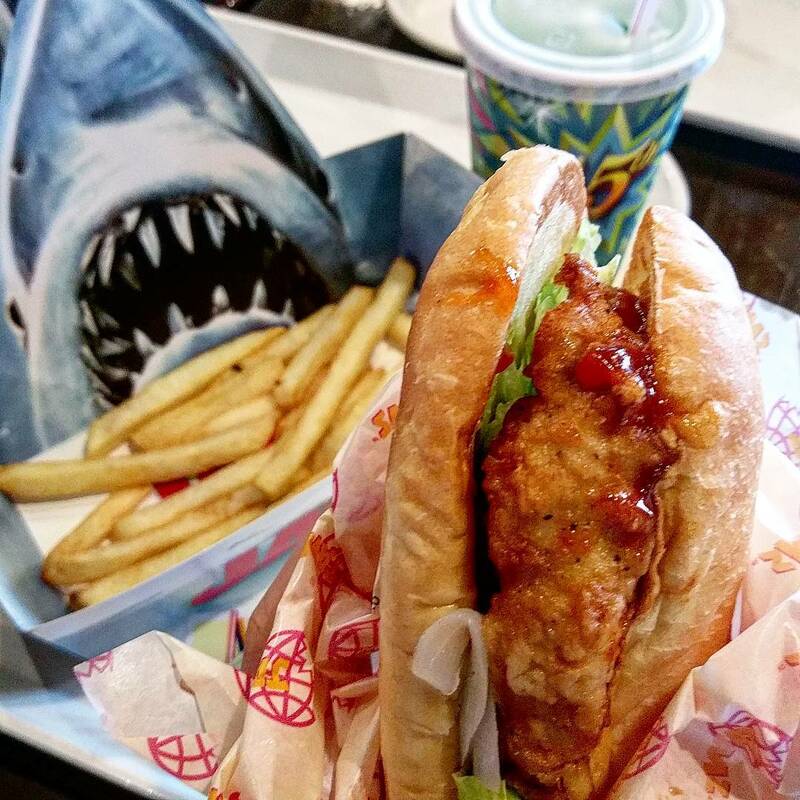 You might not think it at first, but the Amity Landing Restaurant in the Jaws-themed Amity Village serves up some surprisingly good fried chicken. Their menu is short and simple – fried chicken by the piece, and fried chicken sandwiches. Give their Chicken Sandwich a try – served with a side of fries and a soft drink, the fried chicken is nicely seasoned, with a crisp crust. With the Japanese penchant for sodas – from the all-time summer favourite Ramune to the culturally iconic milk-based Calpis – it’s no surprise that they’ve managed to turn the fizzy drink into cake form. Finish off your meal at Amity Landing Restaurant with a slice of Jaws Cake. 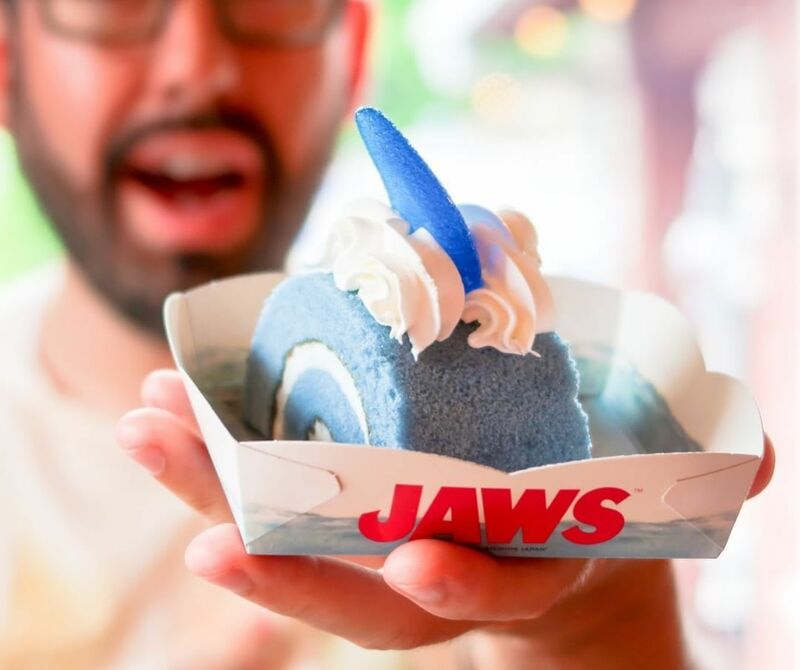 This ocean-blue swiss roll has a surprisingly legitimate cream soda taste to it, and is topped with waves of frosting and a bright blue shark fin candy. The French-style Beverly Hills Boulangerie in the Hollywood Area has the perfect solution to any sudden onslaught of molten lava cake craves. 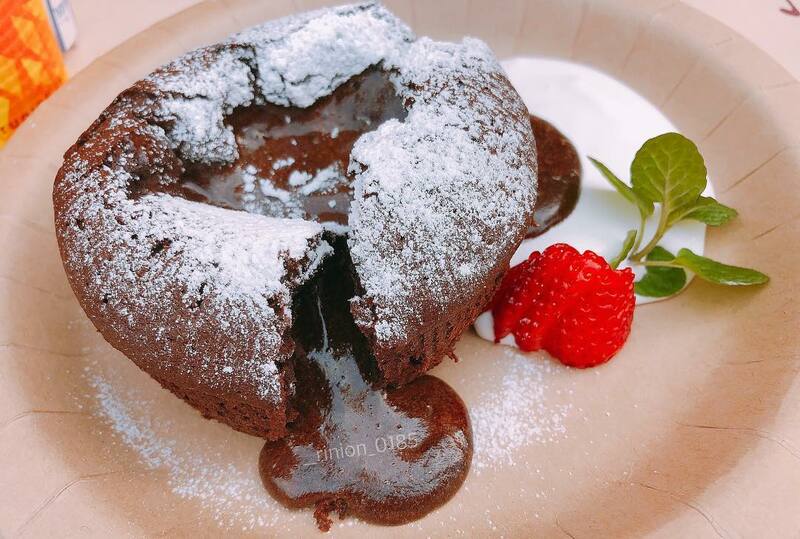 There’s nothing more sad than a lava cake that doesn’t flow, but the Beverly Hills Chocolate Fondant doesn’t disappoint – not too sweet, crisp-edged and lightly dusted with powdered sugar, with a centre of chocolate liquid gold. All the adrenaline-filled rides and running around the park is going to make your hungry for sure. For a sizable meal that’s #carnivoreapproved, order the Jurassic Hamburg Steak Set at Jurassic Park’s Discovery Restaurant. 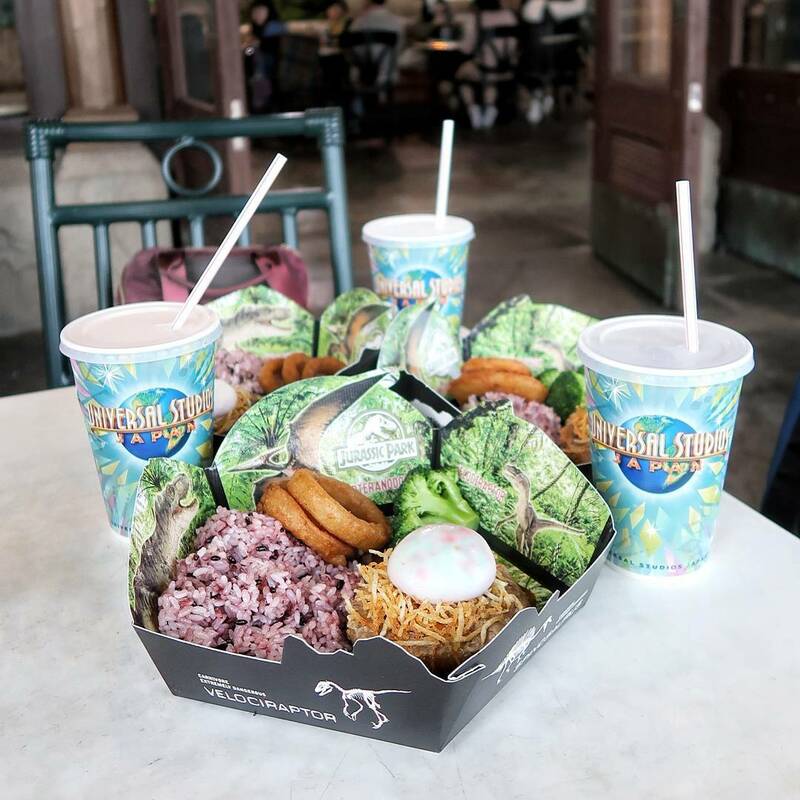 The juicy Japanese hamburg steak patty comes with sides of rice, onion rings and veggies – but the star is undoubtedly the runny-yolked “dinosaur egg”, nestled in a crispy potato nest. Giant turkey legs are considered an iconic part of the theme park experience – often as big as your face, with a deliciously crisp outside. If polishing off an entire turkey leg seems too daunting, USJ’s Jurrasic Park sells Turkey Leg Flavored Popcorn. 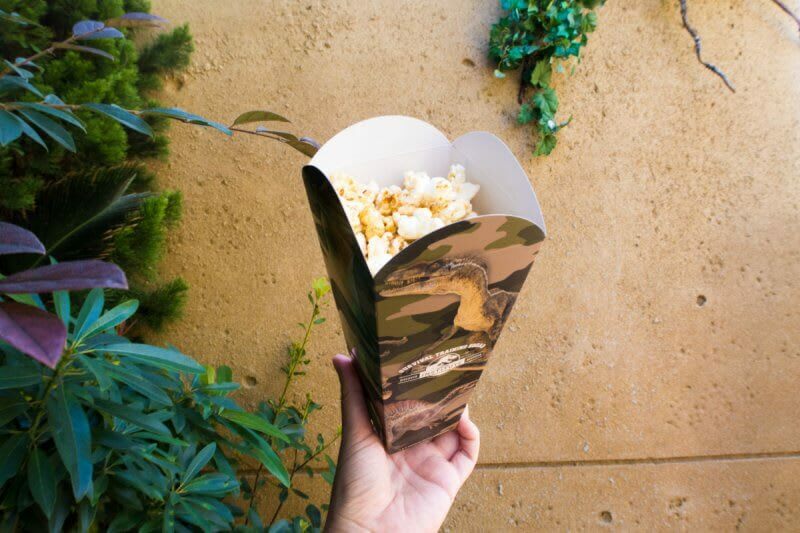 Although much lighter in calories, this theme park snack packs a punch in terms flavor. Not to mention, it’s much easier to eat. 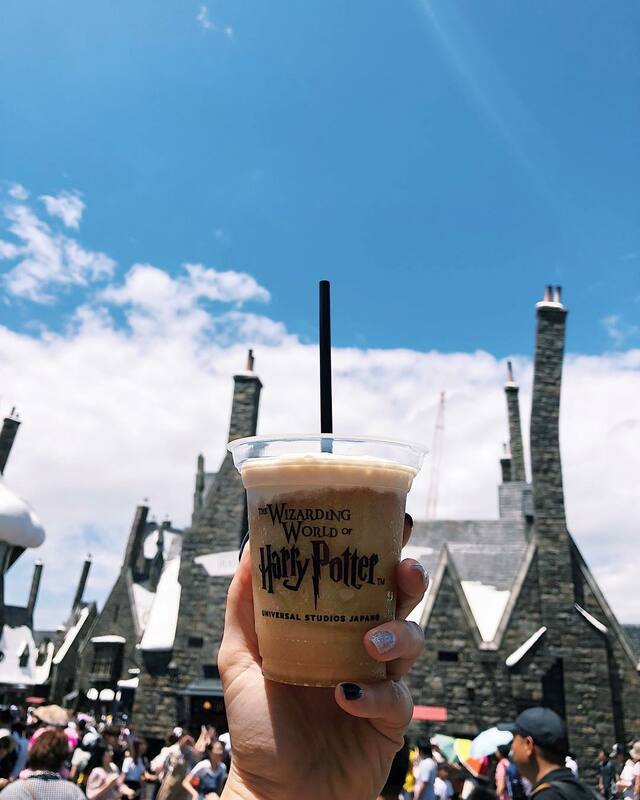 It’s been nine years since Butterbeer was turned into reality at Universal Orlando, and our love for the iconic drink is still going strong. Despite its name, this fizzy beverage is non-alcoholic and tastes like a cross between cream soda and liquid butterscotch, topped with a cap of sweet foam. 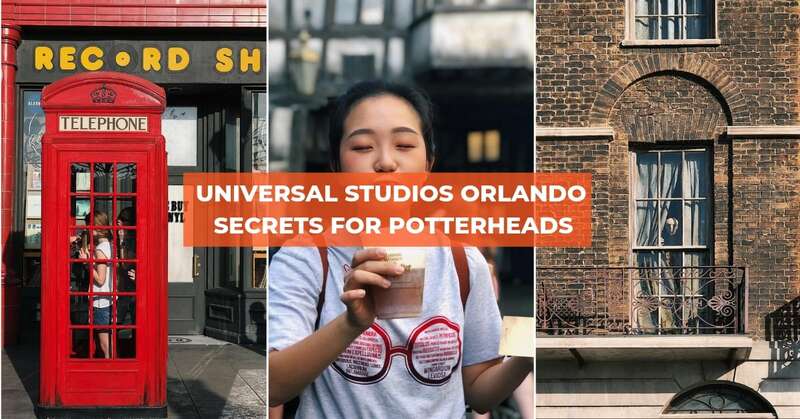 At USJ’s Wizarding World of Harry Potter, you can get more than just the classic Cold Butterbeer. 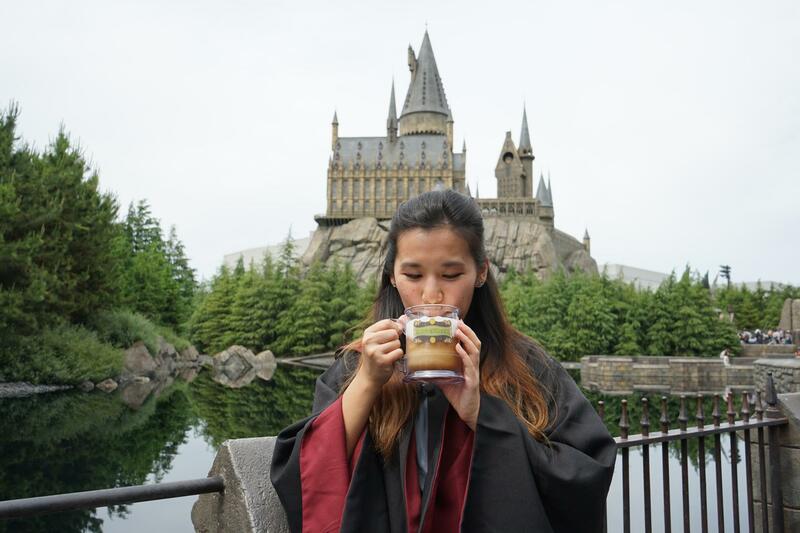 During the cold winter months, Hot Butterbeer is available as a seasonal item – just the thing to warm you up as the temperatures dip. Once summer rolls around, the summer-exclusive Frozen Butterbeer becomes a treat in itself on a hot balmy afternoon at the park. USJ also has hard-packed Butterbeer Ice Cream in single serve tubs, with vanilla and butterscotch swirls. One of the newer Butterbeer items is Butterbeer Potted Cream, which made quite the buzz when it first came out – a creamy Butterbeer-infused custard that’s perfect for any season. Make Universal Studios Japan your next theme park travel destination! 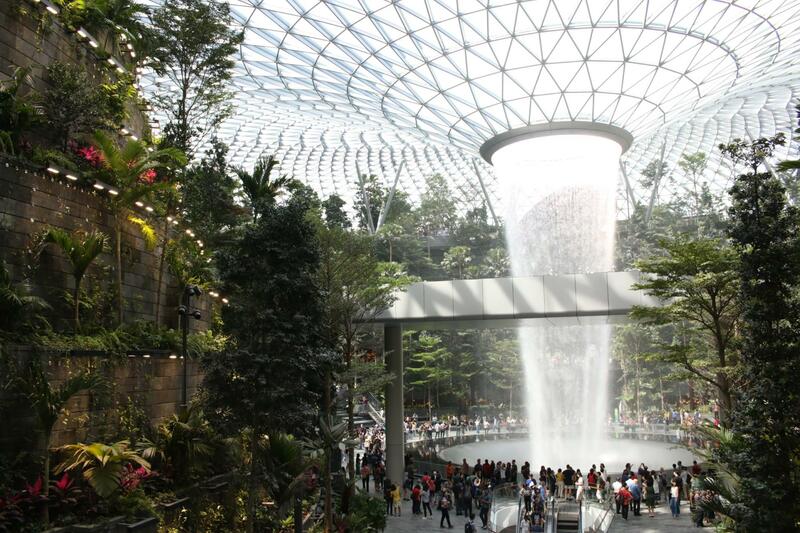 No one likes queueing for hours, so maximise your time at the park with USJ Express Pass 3, USJ Express Pass 4 or even the USJ Express Pass 7 – which allows you to skip the snaking lines for seven rides! 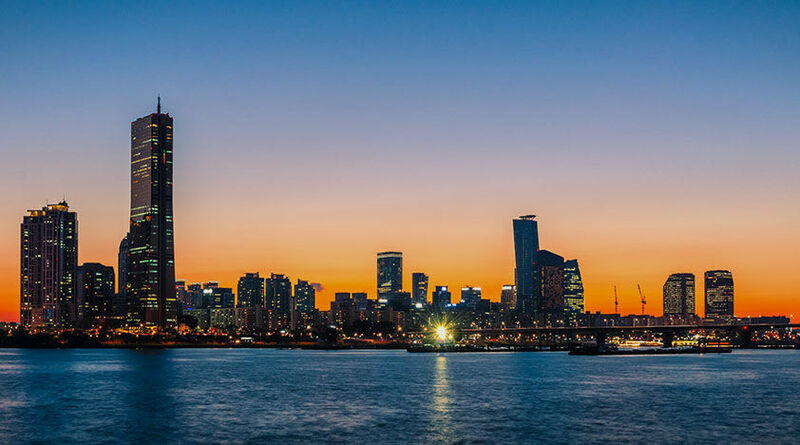 For more tips and tricks for making your time at USJ the best possible experience, check out our Klook Guide to USJ. 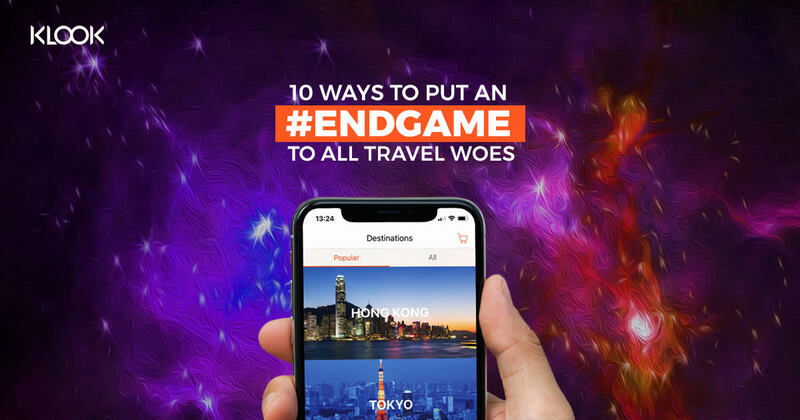 We know exploring Osaka can cost quite a bomb, but we’re here to help! 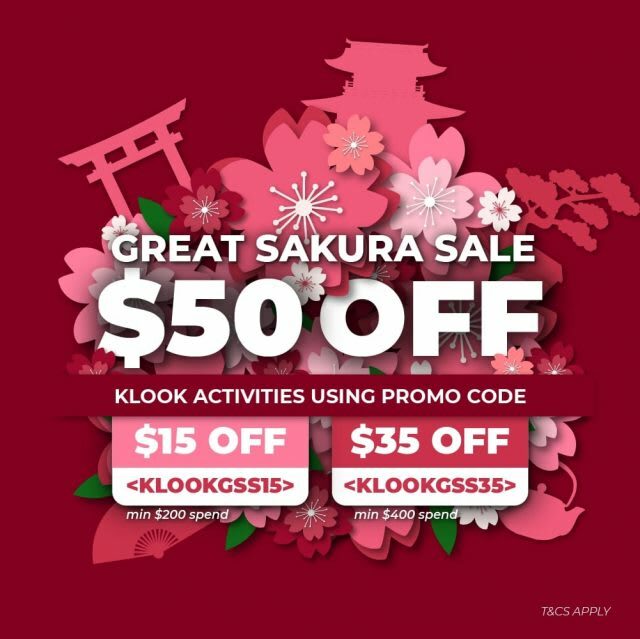 With the Klook Great Sakura Sale, you can enjoy $50 off your holiday by simply keying in the promo code “KLOOKGSS15” min spend $200 or “KLOOKGSS35” min spend $400. Do note that you will not be able to use this promo for any Universal Studios Japan products on Klook. Next post New Dark Arts Light Show At The Wizarding World Of Harry Potter In Universal Studios! 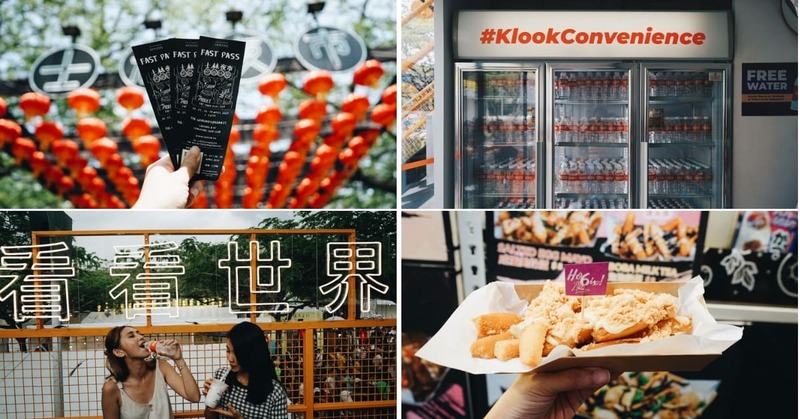 Previous post A Sneak Peek At What To Expect At The Shilin Night Market In Singapore This April!